"Nothing is quite as it seems in this intricate story, which is as finely woven as the wondrous scarf Serena inherits, granting Lowell fans everything they want and have come to expect from her enormously popular romances. " The troubling message from Serena Charters’s late grandmother appears in a package containing four pages of a centuries-old illuminated manuscript—a strange inheritance that hides many secrets…and has already cost many lives. Seeking answers, Serena turns to Erik North of Rarities Unlimited, a reclusive manuscript appraiser with a passion for the past. Without warning, they are thrust together into the center of a lethal firestorm that rages between two worlds—one long dead, yet living on in an ancient text, the other chillingly alive and fraught with peril. 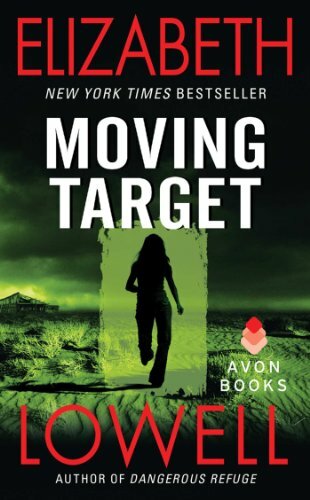 In the blink of an eye, Serena and Erik have become targets of an unseen and determined stalker as they get closer to shocking revelations about Serena’s legacy, the cold murder of an eccentric old woman in the heat of the Mojave Desert…and just how far a remorseless killer is willing to go. And now their only slim hope of survival is to keep moving.